Talking about the opportunity, there is a big market waiting for the right product and service over the Internet, or a facility looking for an upgrade in terms of technology. The Internet and its advances over the Cloud are reinventing the way every Industry interacts with their own customers and provides the service and post-sales support. the total addressable market for the Healthcare sector is growing bigger each day as better facilities penetrate to smaller cities and spending capacity of the citizens gets a push. Healthcare Industry is still getting its share of an upgrade to the global digital market. Usually, companies in the Healthcare Industry end up with huge amounts of data on patient information at their disposal, data which is personal, private and calls for strict, security processes and adhere to multiple regulations. The application of DevOps practices over healthcare infrastructure can greatly simplify and speed up all kinds of digital compliance needs and impact cost parameters cash positively. The goal of a DevOps strategy is about ensuring a process efficiency and protecting the data. Norms and challenges of Data protection for the healthcare industry have been changing over the years. Nowadays, data protection and storage is dealt with the latest technology available in the market, a hybrid cloud model of a dedicated data center and a public or private cloud, or a multi-cloud strategy depending on the company size and needs. The Software development process is, definitely, not an easy feat, and its complexity is continuously increasing. 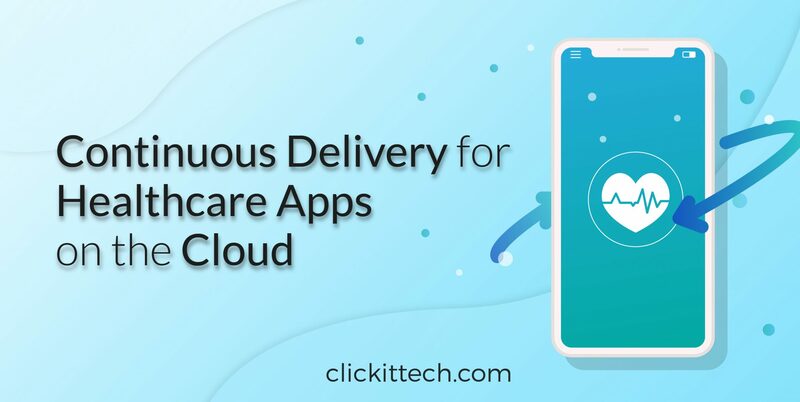 Healthcare apps are under the need of a complete-well-designed Software Development and release process, which can not be completely solved either by the principles of Agile or by the Continuous Integration practices. A healthcare company requires a high-performance and well-functioning infrastructure, and this can only be achieved by a Continuous Delivery Model, which involves all the development practices. Continuous Delivery is a software strategy based on the automation of processes, making them repeatable and reliable with the purpose of deleting the probability of making mistakes while doing it manually. Developers are in charge of automating as much as possible during the testing process. This automation enables them to have immediate feedback, and as a consequence allows them to make fixes faster than with manual testing processes. Members of the team need to be able to operate independently and collaboratively. A continuous Delivery Model helps to accelerate the cycle time of a healthcare app, at the same time of improving Developers productivity, since its automation will reduce the time that Devs need to test and verify every feature. Continuous Delivery is a set of tools that integrate all test cases in an automated fashion and simulate the testing environment on the go for every bug addressed in any component under consideration. Every Healthcare app is under the need for testing. So, as stated before, a Continuous Delivery Model helps Developers to do quicker monitoring, at the same time of finding and addressing bugs quicker. This time reduction can only signify two things. The first one is a reduction in human efforts, there’s no need to have an exaggeration of developers working on something that can be automated and done by a few of them; and number two, a cost-savings billing. Healthcare apps are under the need for quick integration and faster release of features and adherence to any updates in regulations. Continuous Delivery, a strategy capable to offer them continuous software updates. The implementation of DevOps practices will give these infrastructures the ability to update the production environment faster, without any kind of service downtime. Under this approach, companies are witnessing increased productivity within their software-development teams. Benefits of adopting Continuous Delivery on Healthcare apps can be significant. This means facing an improvement in time to market, a reduction in cycle time and an improvement in productivity. Managing a business model like this, allows organizations to have a quicker customers response. It will always depend on your business size, but I’ll say the larger your Healthcare business is, the more important it is for you to apply this model on your sector industry. Looking for a professional team for your Healthcare App? 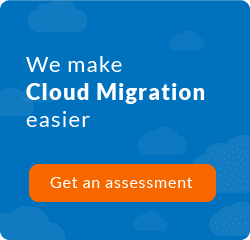 Improve Developers productivity with ClickIT!